Home › Uncategorized › Where in the World is Loren Nancarrow? Where in the World is Loren Nancarrow? Turns out I have been unclear. In my attempts to be artistic and profound, I have been vague. I haven’t really told you exactly what’s been going on in my life. The reason I haven’t been in my anchor chair for past few weeks is because I have brain cancer. I got the diagnosis a couple weeks ago and have since been living the life of someone who has just found out they have brain cancer. 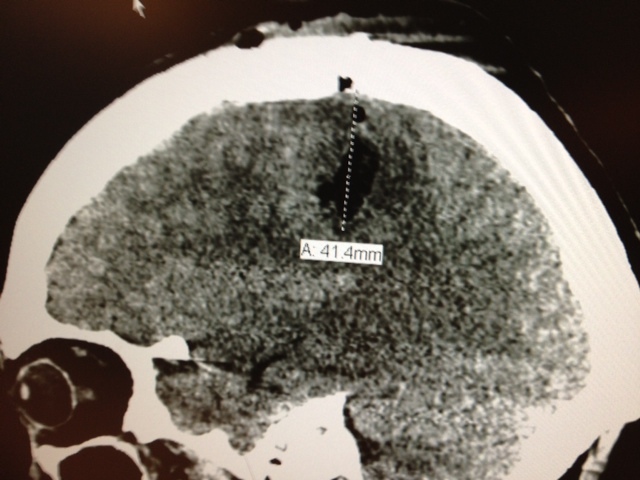 My rockin’ neurosurgeon, Dr. Frank Coufal at Scripps Memorial in La Jolla, removed the large mass of it two weeks ago. I hung around ICU for about a week after that before I was released home. Since then, I have been meeting with the people who will make me all better. 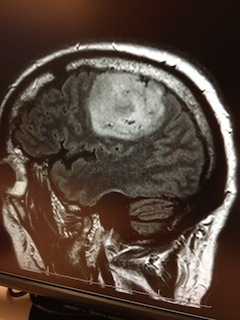 If you’re into the specifics of these types of things— it’s a grade 3, primary brain tumor called Anaplastic Astrocytoma, an aggressive type of brain cancer in my left frontal lobe. As a side note: that’s the area that controls speech, not optimum when you make your living as a San Diego Anchorman. Thankfully, I only lost my speech for a short while. The doctors tell me I have between 1 and 3 years to live. Oh yeah…I forgot to mention…I’m gonna beat this thing. Radiation starts within the next two weeks, then chemo. In addition to that chemical cocktail, I’ll be receiving treatment through the Tibetan Healing Center. I also bought a motorhome. Susie and I intend to see some of those national parks we’ve been enjoying in your Facebook photos. These will be short trips because I also plan to return to work soon…with a badass “Bond villain” scar on the side of my head. Thank you guys for all of your support. My family has also been amazing and strong—not without times of fear and doubt, but nothing we can’t handle. I look forward to seeing you back on Fox 5 News soon. P.S. Here are photos of my brain before and after the surgery. Pretty cool, huh? Furthermore, The contents are masterpiece. you’ve done a great task on this subject! driver and LED strip they require no additional wiring. down light in the ceiling. Holly Eddins has over 10 years experience in the lighting industry. I was pretty pleased too uncover this website. I wanted to thank you for ones time due to this wonderful read!! I definitely liked every little bit of it and i also have you book-marked to look at new information in your site. Hey! Do yyou use Twitter? I’d like to follow you if thwt would be okay. I desire to counsel you few interesting things or suggestions. not really much more well-favored than you might be right now. when it comes to this subject, produced me individually consider it from a lot of varied angles. For your own good, stop using IE. Got that?